A MOBILE WEBSITE IS CRUCIAL TO YOUR BUSINESS. If your website isn't mobile-friendly then you are missing out. Contact us today to convert your website over to mobile. We're connected at the hip to our mobile devices and ready to provide you the best in local customer support. We have been helping businesses and organizations with their hosting and website development for over ten years. We understand the typical pitfalls that can plague a WordPress installation if it doesn't get the attention it needs. Steam Hosting develops great looking websites coupled with a rock solid web hosting service. We use WordPress to provide our clients a robust, easy to use content management solution. In addition to that, we now make all of our sites "responsive", meaning your website will look great on just about any device (Smartphone/Tablet/Desktop). The benefits of developing your website on the foundation of WordPress are huge. WordPress is the industry standard content management solution with over 27% of the websites on the Internet powered by it. Some of the largest brands in the world (such as Sony, Best Buy, UPS, Pepsi, and General Electric) use WordPress in some capacity. WordPress is very easy to use. You can update and add pages to your website easily. You can add new pages to your site’s navigation, or remove old ones. You can upload photos or documents and attach them to your pages with ease. WordPress gives you a wealth of control over your site and allows you to manage your website’s content. Every page in WordPress can have its own meta tag keywords, description, and title. This allows you to do very in-depth search engine optimization (SEO) in-house. The code generated by WordPress is simple and clean and it is easily indexed by the search engines. WordPress offers over 25,000 plugins that can extend WordPress to do almost anything. By having this huge library at our disposal, we can implement simple to complex features and systems into your website without programming them from the ground-up. The hosting of a website is often the forgotten or overlooked piece in the puzzle. Perhaps the reason is because hosting is not a tangible product that you can touch or see, but is actually a service. There are vast differences between the different types of hosting available either on the open market or that which is provided by a development firm. We do not resell hosting from a budget provider. We run our own dedicated servers with the needs of our clients in mind. Our clients can rest assured that their website and data is backed up every single day. In fact, we back them up twice every day! We do daily local backups as well as nightly offline backups to ensure our clients' data is safe. Hosting is an aspect in the web industry where corners are often cut to reduce overhead. We feel it is vitally important, and as a result, we have spent significant time refining our services and making sure they live up to expectations. If you need your website content updated we are happy to help you at our hourly rate*. Please contact us. When a new version of WordPress is released we will update it for you. We do the same for plug-ins and we even run diagnostics after all updates to check for potential problems. Thank you for supporting small business and keeping your dollars in the community! We greatly appreciate your business! *Our hourly rate is $90/hr. billed to the nearest 15 minute mark. We believe responsive design is critical. PC sales are in decline for the first time in many years - and mobile device sales are rapidly on the rise. Because of these trends we can no longer assume your customers are looking at your website on a desktop monitor or laptop. It is more important than ever to make your website mobile-friendly. We design our WordPress themes to be “responsive”, which means your site will automatically adjust to fit the device viewing it. Going with a responsive design may be the most cost effective way to go mobile. As the mobile market has grown, businesses have spent significant money investing in mobile websites or apps to go along with the website they already had. This often would result in a cost increases in both maintenance and development because of the difficulty in keeping up with the ever changing amount of devices, screen sizes, and possible orientations. 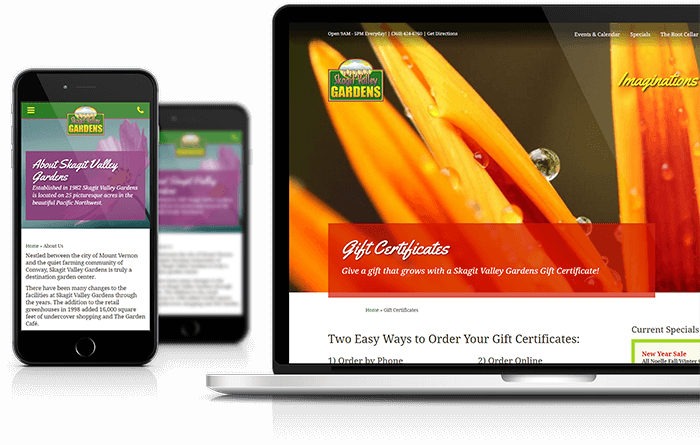 With responsive design, we build one website that encompasses all devices on all platforms. An infected website is damaging to your business. Side effects include being blacklisted by Google and other search engines, possibly distributing malicious software to your customers and even to yourself, or your site may be used to advertise embarrassing subject matter. Focusing on prevention is important, but so is having a recovery plan. With Steam Hosting, our Host Intrusion Detection System monitors your site at all times for malicious activity. We back your site up every single day and store an encrypted copy off-site with a 14-day retention period, so you have a road to recovery should your site be breached. Over the years, a lot of "malware removal" business models have popped up on the web. These companies exist because your average hosting provider will either not help you if your site becomes infected or they will offer to sell you software that may or may not restore your site to a clean state. Rarely will they enlist an expert to fully inspect your site, clean it, and monitor it afterwards for signs of re-infection. In the event that your site does become infected with malware, we will help you... please contact us. Have an outdated WordPress site? Choose us as your managed WordPress hosting provider and we'll migrate your website from your current host to our servers. Owners Luke Hansey and Ken Davenport have been developing and hosting websites together for over 18 years. In 2006 they ventured out on their own and formed Steam Hosting. Through this company they have designed and developed top-notch websites, customized web servers specifically for WordPress-powered website hosting, and have been providing an unmatched quality of customer service to their clients. Stellar customer service has, and always will be, our top priority. We invite you to host your website with us and experience the difference in the responsive customer service that we can provide you. We use multi-layered caching and a reverse proxy configuration for serving static resources that will make your WordPress site fly. Don’t let a slow website affect your Google ranking. WordPress is amazing. We constantly monitor our Web Application Firewall and block typical attacks while automatically scanning your site for malware. When you need us we're here for you. We have a dedicated email that goes out to everyone in our company so your needs can be taken care of as quickly as possible. Every one of our websites includes on-demand WordPress training videos for you to learn from and quickly get up to speed on the ins and outs of WordPress. Since 2006 we have prided ourselves on offering exceptional customer support. Please fill out the form below and we'll respond at our earliest possible convenience. We do not provide email service to new customers. We advise our customers to use Google Apps or Microsoft Exchange Online. If you are looking for an IT professional to assist you with your email setup, Adrian Santangelo at Interpreting Technology is fantastic. Do you host other types of websites besides WordPress? Yes, we do. We host a variety websites. Contact us and see if we can meet your needs. Can you convert my website to a WordPress-powered website? Absolutely. It's one of our specialties. Contact us about website conversions. It’s a fresh, beautiful website powered by a highly configurable WordPress platform making it easy to keep updated with new content. One of my favorite features is the mobile navigation. When clicked, the rest of the site becomes blurred. We’ve also added some subtle animation giving the website some added flair. We provide fully managed WordPress web hosting. Fast Servers, Daily Backups, Malware Scans, and Wordpress Training Videos all included. Please fill out the form below with your information and we'll be in touch at our earliest opportunity. We can also be reached by phone at (360) 202-7600. If your website isn't mobile-friendly then you are missing out. Contact us today to convert your website over to mobile. Please fill out the form below with your information and we'll be in touch at our earliest opportunity. We can also be reached by phone at (360) 202-7600. 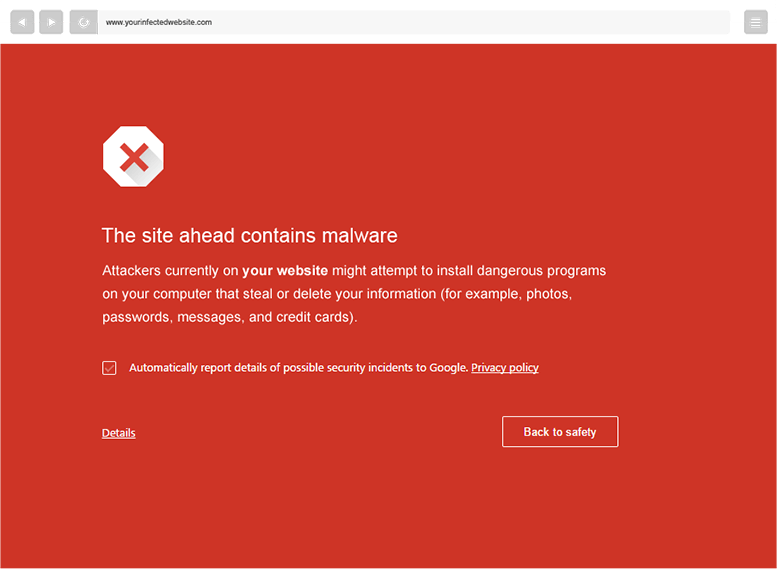 Having a website that's infected with malware can hurt your business. We can help clean your website and keep it virus-free. Please fill out the form below with your information and we'll be in touch at our earliest opportunity. We can also be reached by phone at (360) 202-7600. We pride ourselves on providing our customers the best possible support. Please fill out the form below with your details and we'll be in touch at our earliest opportunity. We can also be reached by phone at (360) 202-7600. Please fill out the form below with your details and we'll be in touch at our earliest opportunity. We can also be reached by phone at (360) 202-7600. Paying your invoice online is quick, easy, and secure. Please enter your payment amount and click the button below to pay your bill on a secure page.